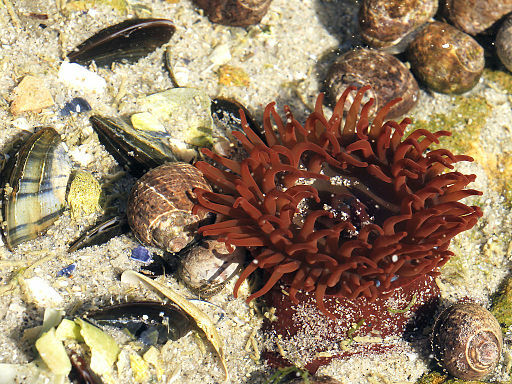 Beadlet anemones exhibit various colour forms green, red, or brown. On rocky shores will be found both in and out of water. When exposed by the tide, beadlet anemones retract their tentacles and resemble small Jelly beads When submersed in rock pools tentacles are usually extended, displaying a ring of bright blue spots called "acrorhagi"